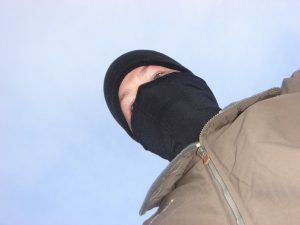 In Commonwealth v. Dew, the Supreme Judicial Court affirmed the defendant’s conviction of masked armed robbery, ruling that the judge properly admitted evidence of the victim’s out-of-court show-up identification of the defendant, and concluding concluded that the judge properly allowed the victim to make an in-court identification of the defendant. Regarding the latter holding, the Court rejected the defendant’s contention that “all in-court identifications preceded by out-of-court show-up identification procedures” should be precluded because show-up identifications are inherently suggestive. The basic facts were as follows. On the date in question, “the victim, a pizza delivery driver, telephoned 911 to report that he had been robbed at knifepoint” by a black male on a street in Brockton. A police officer (Abrahamson) “responded to the scene and spoke to the victim. Abrahamson immediately drove” to the apartment of a man named Torres, “located a short distance away…. Abrahamson suspected, from previous interactions with Torres and the defendant, who is African-American, that the two might have been involved in the armed robbery. Torres’s mother allowed Abrahamson to enter the apartment. Once inside, Abrahamson found the defendant hiding in Torres’s bedroom…. Other occupants of the apartment informed Abrahamson that the defendant had left the apartment earlier in the evening” and “Torres’s mother told Abrahamson that she had overheard the defendant using his cellular telephone to order a pizza. Abrahamson brought the defendant and another person who had been in the apartment to the end of the driveway for a show-up identification…. The victim immediately identified the defendant as the robber. The show-up was conducted ‘[n]o more than thirty minutes, and perhaps less’ from the time that the victim reported the crime.” After the return of the indictment against the defendant, he filed a motion to suppress the show-up identification. The judge denied the motion. Later, the judge, invoking principles set forth in Commonwealth v. Collins, 470 Mass. 255 (2014), allowed the Commonwealth to present to the jury an in-court identification of the defendant by the victim because the show-up identification had been unequivocal. The power of an in court identification cannot be overestimated. If you or a loved one is charged with a criminal offense in which identification is an issue, it is crucial that you have an attorney who does everything in his or her power to exclude any identification evidence, or, in the alternative, do everything possible to diminish the strength of such evidence. Attorney Daniel Cappetta has handled numerous cases where identification was an issue and successfully helped many clients. Put his expertise for you.